Swap Shop – Eastern Montana's #1 Radio Station! How do you get rid of that sofa you replaced? How about that tractor that isn't working out as a planter in the front yard? 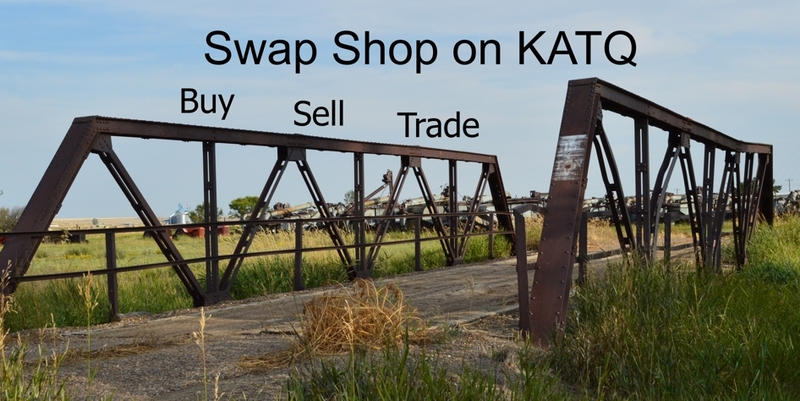 Then KATQ Swap Shop is the place for you. Contact us to have your yard and house cluttering extra's listed for sale over the radio! Swap Shop can be heard Monday through Friday at 11:30 am. A community service sponsored by our local Rocky Mountain Bank. To post items call 765-1480 or email the information to katq@nemont.net two to four weeks before you want the items announced.